This is an “only in America” type of story. On January 11, 2009 the New York Giants professional football team played the Philadelphia Eagles in a divisional championship playoff game at Giants Stadium in New Jersey. Since all New Yorkers are convinced that they own New Jersey as well there is no problem that the New York Giants play their home games in Rutherford, New Jersey. The New York Times in order to mark the occasion of the playing of this momentous game published a feature column entitled: “A Prayer Ritual Shared in Religion and Football” in its January 10, 2009 issue of the newspaper. The thrust of the article refers to a Jewish family in Brooklyn that operates a niche clothing store. The owners of the company have a religion – the New York Giants. Its fortunes occupy the center point of their lives and when the Giants have a bad season the factory owners are depressed for the whole year. So, in the fall of 2007 when the Giants were losing badly and regularly, Jay Greenfield, one of the owners of the clothing company, “was a desperate man. His team had gone 1-3 in the preseason. The Giants lost their two regular season games and confidence sagged in their quarterback, Eli Manning.” There was a customer of the company who was a Lubavitcher chassid who visited the store regularly to buy material for his own clothing store located in another section of Brooklyn. But he would prove to be an apparent savior to the Greenfields and indirectly to the Giants. The article continues: “It was around this time that the rabbi, (every chassid is a rabbi to the New York Times, BW) who acknowledges not watching television, let alone Giants games, visited. With Yom Kippur approaching, [he] was trying to encourage Mr. Greenfield to do the Tefillin prayer – which includes strapping a pair of black leather boxes containing biblical verses around the head and on the arm, hand and fingers and reciting a prayer declaring loyalty to God and a request for blessing. The rabbi told Mr. Greenfield that the ritual would help make it a good new year.” Greenfield then told the rabbi, “You’re talking about a good new year, but if we lose against the Redskins this Sunday, my year is over.” The article continues: “It was then that Mr. Greenfield, who follows strict game day rituals including wearing the same jeans, undershirt and jersey, got an idea. None of his rituals seemed to be working and here was this persistent rabbi telling him that simply saying the Tefillin prayer might be just the thing needed to help Mr. Greenfield get what he wanted for his team. ‘I was at a weak moment, so I considered it,’ Mr. Greenfield said. I told the rabbi, ‘I’m not greedy – I just want to make the playoffs.’ He said, ‘What’s the playoffs?’ I said, ‘You need to know that now.’” The rabbi finally said: “I told him, ‘We know prayer goes a long way, and I can see this Giants thing means a lot, so let’s go for the prayer.” Mr. Greenfield did and saw immediate results. The Giants beat the Redskins the following Sunday. Well, my friends, the Tefillin notwithstanding, the Giants lost their January 11 playoff game in a badly played effort by them. The great theological question of testing God by apparently performing His will is raised in this otherwise tongue in cheek article. I am reminded of an incident that happened in my youth. A neighbor of ours was running for alderman in the Democratic primary election which was to be held during the intermediate days of Pesach. In order to attract the mainly Orthodox Jewish vote in the area he demonstrably showed and advertised his purchase of matzot for the holiday. To his chagrin, he lost the election by a wide margin. He then publicly threw out the remaining matzot from his second-floor window shouting for all to hear: “The devil take these stupid crackers!” Tying the fate of Tefillin to that of the New York Giants or vice versa is to me the wrong way to deal serious matters of belief, tradition and human behavior. The Giants will probably have losing seasons in the future. Will Mr. Greenfield continue with his Tefillin ritual? Making Tefillin a good luck talisman is unjustifiable in Jewish thought and belief. God does not accept bribes from us. It is important that Mr. Greenfield, and all other male Jews, place Tefillin on their heads and arms every weekday. 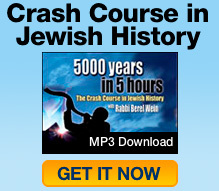 But are all means legitimate in the pursuit of having Jews observe this most important ritual? This is a question that is being sorely debated regarding other forms of outreach in the Orthodox Jewish world today. I enjoyed reading the article about the Giants, but it left me vaguely disturbed as well. 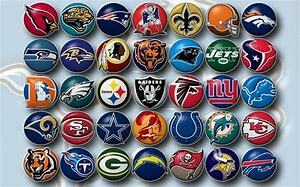 There are many religious players that play in the National Football League on all its teams. There are regular prayer meetings for the players. One of the teams, in spite of its prayers, is destined to lose the game. Abraham Lincoln in one of his famous addresses during the American Civil War made note of the fact that both sides prayed to the same God for the destruction of the other. He felt that to be sad and ironic but nevertheless somehow valid. It is somewhat demeaning and sacrilegious to think of the Lord as merely a Giants fan. Prayers unanswered are part of human life. The Lord has His own plans and agendas. Our thoughts are not necessarily his thoughts. Judaism avoids superstitions and good luck charms. The performance of commandments is not to be viewed as a good luck charm. Relegating Tefillin to such a status distorts their true purpose and meaning.